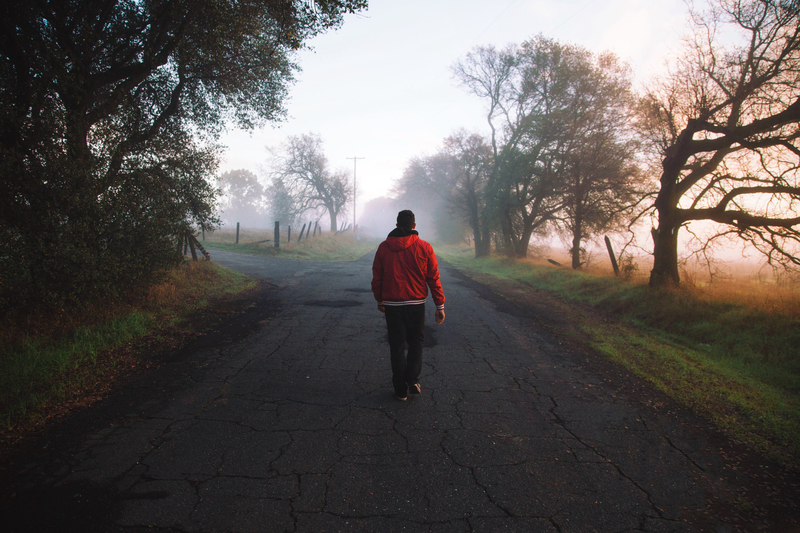 This post is the second in a Myer-Briggs series on Decision Making. Over three blogs we’ll look at the Perceiving Function (how people take in information), the Judging Function (how people make sense of what they perceive) and finally the Decision-Making Process. Carl Jung was the famous psychiatrist who broke with Sigmund Freud. While Freud seemed to study what was wrong with us as human beings, Jung thought it better to study what was right and natural about us humans and what we could learn about ourselves with the proper framework. His work on Psychological Types led Myers and Briggs to put together their framework for understanding how we work. Of the four functions pairs (making up the 16 possible archetypes) Jung and Myers-Briggs believed that the middle two were used in our decision-making process. It’s important to understand how these two functions work and in which order to under our and others decision-making process. The simple concept is that we spend our days cycling between perceiving (observing what’s going on around us) and making judgments (decisions) based on that observation. A simple example is that when we’re leaving the house in the morning we look out the window and notice (perceive) that it’s raining. We then judge the situation to require (decide) to take an umbrella. In this post, we’ll look at the Judging function. We looked at the Perceiving function earlier. We’ll finish the series with a Decision Process post. How do you Judge what you have perceived about the world around you? Don’t think of this word as the negative form of “Judgement”. You’re not being a judgmental person. Myers-Briggs calls this your Deciding function. Once you’ve taken in information with your Perceiving function (previous blog), how do you then finally decide? The thinking function is driven mostly by logic. Add it up, pros and cons, bottom line; there’s your answer. The Feeling function is driven mostly by values. “I see your logic and may even concede that it’s correct, but who cares?” How will this logical answer affect our people, our customers, our vendors? Does it reflect our values? It’s important to note that this is not feelings of emotion, though it’s often mistaken for that. It’s more a question of values and how people will be affected. Both Thinking and Feeling functions are valid. I’m always emphasizing balance when I conduct Myers-Briggs sessions. Balance, balance, balance. It’s best when we can depend on and blend both functions. We’ll get into trouble relying too much on one or the other. 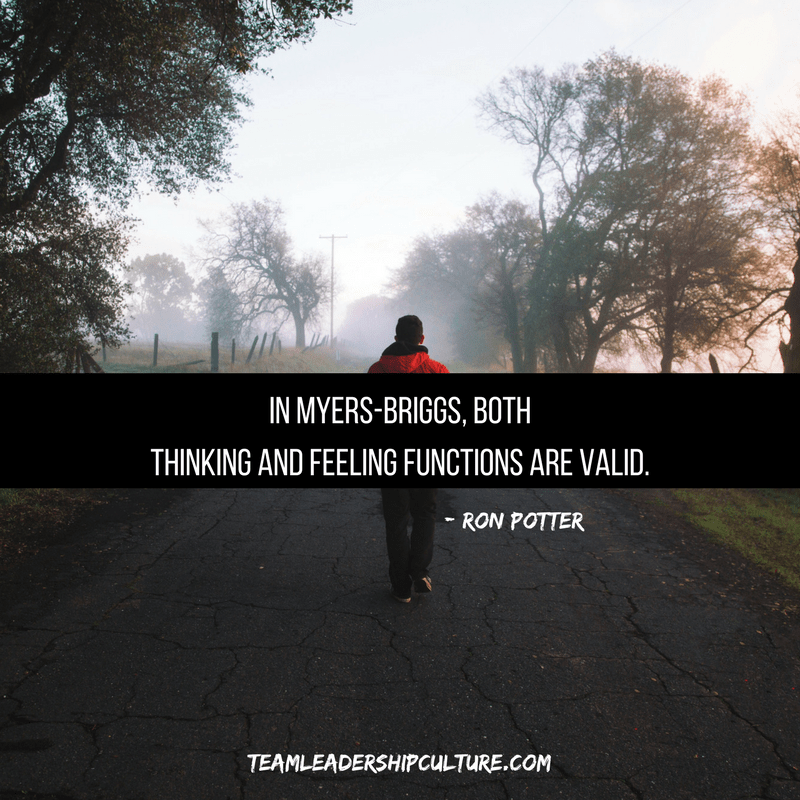 Therefore, I like to use Myers-Briggs with teams. It’ easier for a team to balance functions when we have a mixture of both types on the team. But, a little later, I’ll ask the same question but I’ll speak of it in Feeling terms; “What do you “feel” we do about moving forward. The thinking-preferenced person doesn’t understand the difference in the question. Their response will be something like “I just told you what I “thought” a minute ago. But if I ask the feeling question of a feeling-preferenced person, I often get a more robust answer. “I think the logic is correct and we could defend it. But do any of you understand how upset our customers are going to be with that decision? I fear we’ll lose a percentage of our customer base that we’ll never get back!” Was it a logic answer? No. Was it a powerful answer? Indeed. In fact, it will likely change the team answer. Like our Sensing and iNtuitive types, Thinking types are no less feeling than Feeling types. And Feeling types are no less logical than Thinking types. But, decisions will be driven by the preferred type. We need to address both to reach balanced conclusions. The best answer is a balanced one. Weigh and compare the thinking attention to logic with the feeling attention to values and impact. It often takes a partnership or team to do this well. What color was that book? Innovation: hovering for takeoff or collapsed?